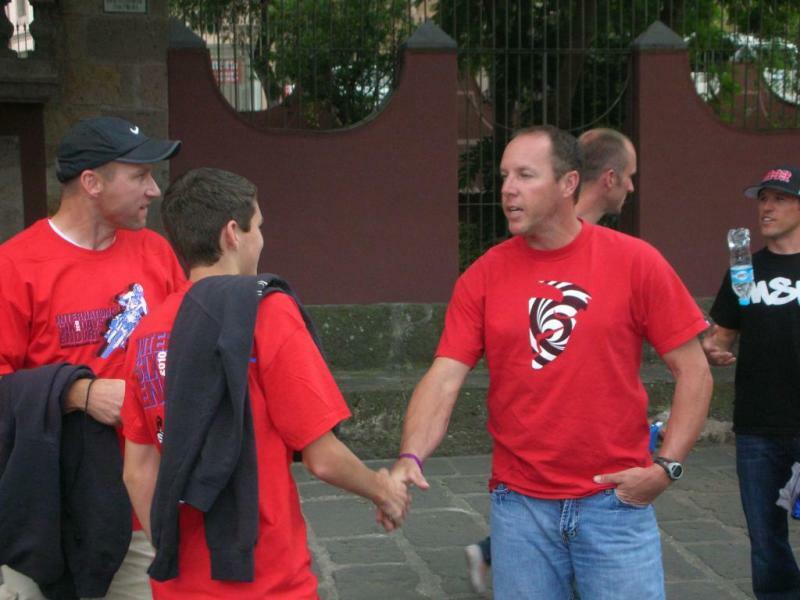 Myself, Josh, and Cory’s wife Kara leave Friday morning for Morelia. This is the first of what I hope to be daily updates regarding Cory’s progress, as well as our general experiences supporting Team USA. For those who may be unfamiliar with the ISDE, the simplest way to describe it that it is basically the oldest ongoing Motorcycle Racing Event in the World (started in 1913) and it is directly equivalent to the Olympics in that riders must qualify or be hand-picked for the team to represent their country. 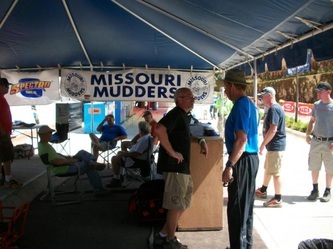 This year’s race will have representation from over 32 countries and estimated to be over 550 participants. It’s also important to note a few other items. There will be two other Utah riders participating in the ISDE this year. Shawn Strong and Jarkko “Jake” Vainio. Shawn is a young and well-respected force in Utah off-road racing, currently in position to win the overall Utah State desert racing championship, as well as competing for a top-ten finish in the AMA National Hare n’ Hound Series in 2010. 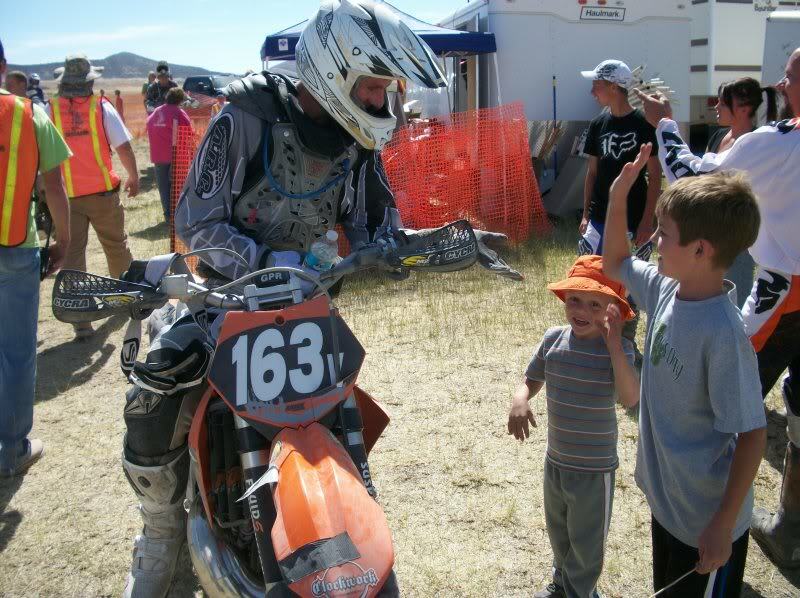 Jake is a long time ISDE veteran from Finland who now lives here in Utah (Park City). 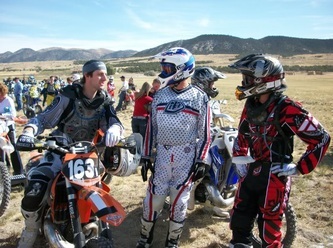 To my personal knowledge, there have only ever been two other Utah riders ever to participate in the ISDE, Greg Gillian in 2006 in New Zealand and Bert Bradford in 2007 in Chile. So to have three Utahns participating in the same year is a very unique situation. My plan, assuming schedule and internet connectivity allow me, is to provide nightly updates while the experience is fresh in my memory, and those of you at home can enjoy the updates. 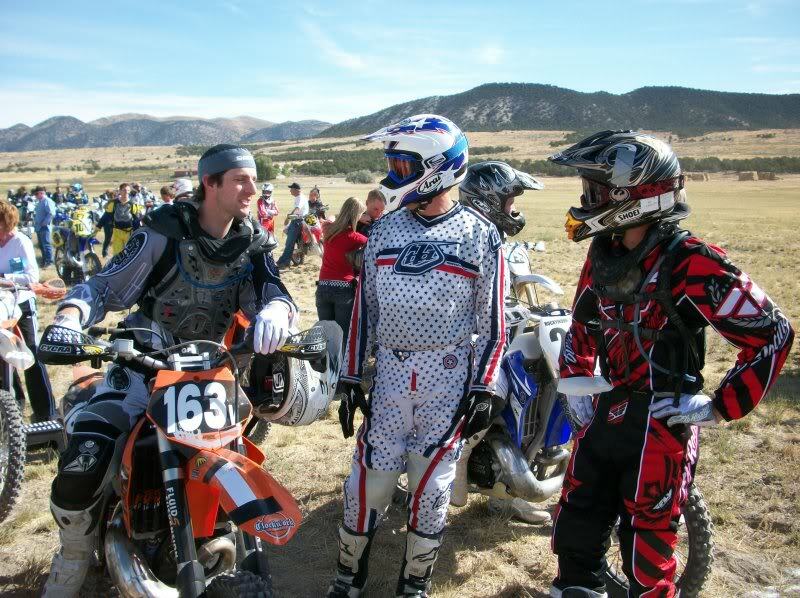 What a lot of people also don’t know about Cory is that despite riding motorcycles his entire life, the discipline of off-road riding is actually fairly new to him. Cory has a Trials background and has competed at the National and International level as a Trials rider for many years and was a member of the US Trials des Nations team in 2000 competing with teammate Geoff Aaron in Spain. But, it’s only been the last 3-4 years that he’s ridden competitively in off-road. Proper kudos need to also be extended to Rekluse. Cory contacted them this past week and explained his plight and they bent over backwards to get him a new auto-clutch shipped in time to test it. He had about 30 minutes of ride time on it last Saturday and feels that it will be a benefit. It’s now been yanked from his bike at home, and he took it with him on Tuesday morning of this week and is installing it in his race bike there in Mexico. We've made it to Morelia. We flew from Salt Lake to Mexico City. Mexico City is a huge sprawling city and looked very much the way I expected it. We then had a short flight from there to Morelia and it was such a contrast. When coming into Morelia there were mountains, covered in trees, and green. There were lots of beautifully groomed fields and it looked like the rolling hills and green pastures of northern California almost. Morelia itself seems to have the typical poor areas much like what I expected (the kind you don't want to be walking around alone in), but the area we are in is very cosmopolitan and modern. Our hotel has an Applebee's right next door where we ate dinner tonight, a McDonalds, movie theater, Chili's, and a really nice big supermarket within walking distance. We went there tonight and it was just like walking into a supermarket at home. 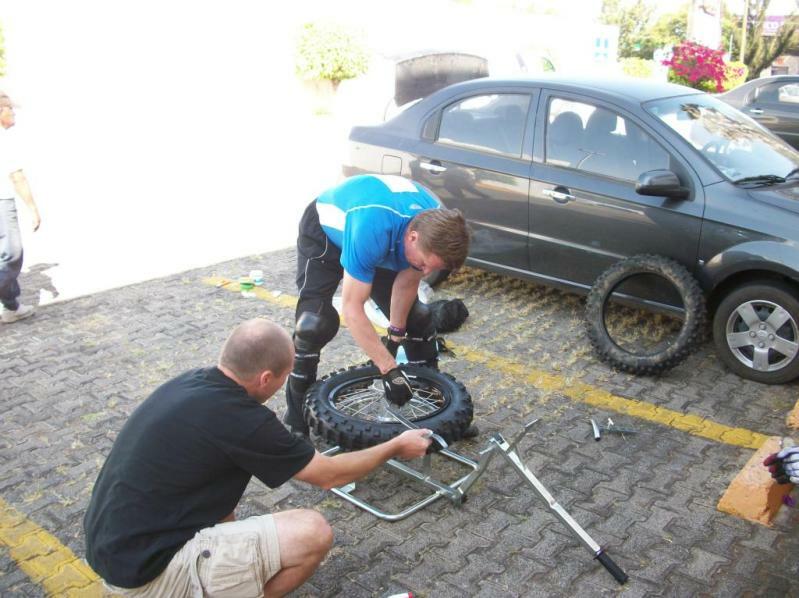 Cory and Shawn have been having a great time here and have already had to impound their bikes. Word on the street is that Destry Abbott's bike still isn't here. Apparently Ricky Dietrich isn't here on the trophy team...not sure why yet, but I believe GNCC racer Jimmy Jarrett has replaced him. Wally Palmer (any of you that have been to an EnduroCross probably know Wally as the crazy dude that launches his bike off anything....at least that's what I remember the one time I saw him in Vegas a few years ago) apparently flew in and set his bike up, flew out yesterday and is competing in the EnduroCross this weekend in Denver, and is flying back Saturday or Sunday just in time to start the ISDE on Monday morning. The hotel we're in seems to be primarily the USA Club riders and Junior Trophy Team. The Trophy team is at another hotel. But, I have also seen the Swedish team in our hotel and the Israeli team. Shawn and Cory also said some crazy Canucks drove an old motorhome and horse trailer all the way from Canada!!! That takes guts. Within minutes of arriving at our hotel, we went to get dinner and found Shawn Strong, his dad Brad and Shawn's girlfriend Trish, in the parking lot practicing tire changes with Jake "Jarkko" Vainio. I am quickly gaining an incredible amount of respect for Jake. I feel like I'm the Karate Kid in the presence of the Great Mr. Miyagi who is full of wisdom and experience. Jake is the man!!! Listening to him and watching him is like being in the presence of Roger DeCoster, seriously. He sounds like him, looks like him, and has Cory and Shawn following him around like disciplined pupils eager to please their master. He has taken the fatherly coach role and has them on a strict regimen. 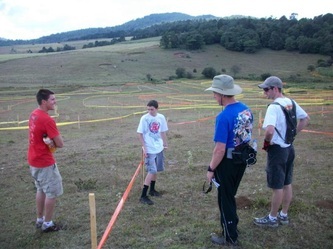 (Breakfast at 7:00, Grass Tracks and Note Taking from 9:00-12:00, Tire Changing practice from 1:00-3:00, etc.). We walked out to the parking lot and he had a tire changer, a few tires, and Metzeler foam inserts, and he was coaching them on the way "world champions change foam inserts". It was amazing!! I'm a moto geek and I know it, but seriously watching him coach and tell them how to do it was awesome and my son Josh was just soaking it all up like a sponge (only moto geeks could get excited about such a thing). His technique was so much better. It was very precise, methodical, and effortless. The first time I saw Cory practicing bib insert changes in his garage this summer, he had it down to about a 3-4 minute routine, but it was brute force and he was sweating like crazy. Tonight, he was doing it with a broken hand, hardly even breathing, and looked like he was changing a bicycle tire. His twenty plus years of experience and the great tradition of the Finnish team in the ISDE is directly benefiting the Utah riders and Team USA. Jake seems to be loving having a couple of new pupils as well, and this is an absolutely incredible experience for my son Josh to observe all this. I'm writing this Sunday morning, because by the time I got back last night and everything downloaded, I was admittedly too tired to get a report for Saturday put together. This is an accounting of our experiences and observations yesterday (Saturday). Yesterday (Friday) I commented on our initial observations of the city. Yes, we ate at an American restaurant and there were lots of nice shops around. I was hoping to see a little more of the real Morelia today, and we definitely did! The plan today was to get up early and go in search of the rest of the special tests. Cory, Shawn, and Jake had already been to a few of them on the days preceding our arrival, but today we were able to drive to three of the special tests and walk them, as well as see two of the other that are right near the Parc Ferme (the impound or the "paddock"). We all loaded into three separate cars and headed out with a very basic map of the city and surrounding area. 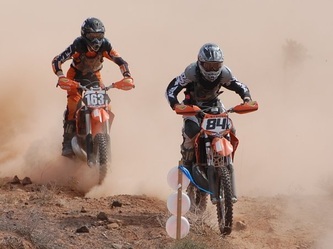 The riders all ride directly from the Impound area (just like Idaho City), but from there, it's absolutely nothing like you've experienced (unless you've been to a real ISDE before). The tests are out in the countryside. 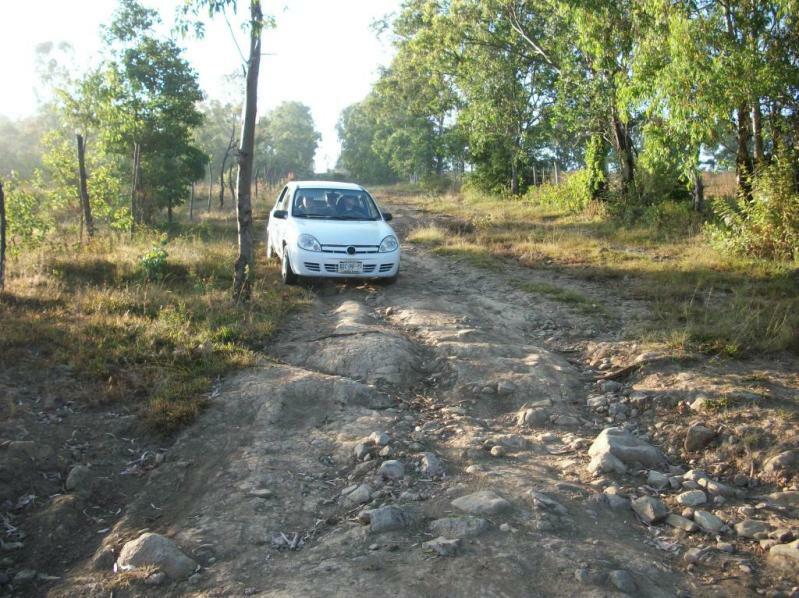 The riders will be riding a lot of dirt roads and even a lot of pavement in some areas to get to the tests. I've really seen very little trail, but we weren't riding course so I'll be curious to hear from Cory what the actual course is like. My previous comments about the city being "modern" are a probably a bit of a stretch. Yes, it is definitely modern in some areas. I've seen a Home Depot, Walmart, Costco, McDonalds, and some nice gas stations and supermarkets. But, immediately next to such modern stores will be complete poverty and slummy areas that wreak of sewage. As we extended out into the countryside, this was even more true. We saw people living in shacks and surviving on a year, what I probably bring home in a week. It was humbling and consistent with what I've seen the few other times I've been to Mexico. 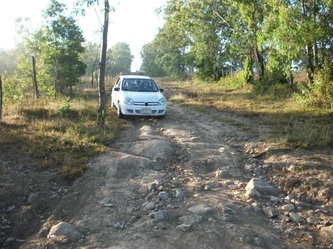 The neat thing though was that in our efforts to find these remote tests we saw a ton of the countryside and drove into tiny little villages and spoke to people who were very humble and kind. After driving to the special tests today, the plan for the evening was to participate in the "Opening Ceremonies". This was essentially a parade in the downstreet streets of Morelia. I didn't know what to expect, but it was actually really cool. We crammed in a taxi, scarfed down a Big Mac while sitting in the back seat, while Cory chatted in Spanish with the driver. Cory is fluent in Spanish and it's been a real nice safety net while traveling around. 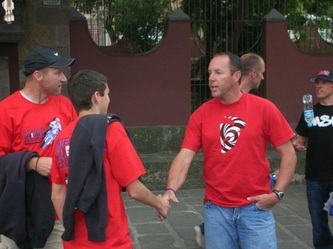 All the riders and support crew had Team USA t-shirts and the Trophy Team and Junior Trophy Team had Team USA jerseys. We assembled in sort of a park area and just mingled around for a while and checked out the displays for "Dias de los Muertos" (Day of the Dead). People had shrines built to honor some of their Dead and it was cool to see some of the culture. I think the official date of the holiday is November 2nd, but with all of the festivities and Halloween, some were doing it early. Once the parade started, we walked through the old main streets of Morelia with 500 year old buildings all around us. The streets narrowed and the crowds got larger and larger. We finally got to sort of a city center area and they had big grandstands packed with people, and local dignitaries talking, and of course it wouldn't be a Mexican fiesta without a Mexican band. The USA team with the flag held proudly by Jeff Fredette competing in his 30th ISDE. Jeff is a mellow, easy-going, super cool dude. The evening ended with lots of hype and celebration by the local dignitaries, fireworks, and a motorcycle stunt display in the streets. It was quite the incredible experience and from those I spoke to that have been to multiple ISDE's, they said that was the most people they've ever seen at one of the opening ceremonies/parades. As crazy and weird as this place is in areas, I'll hand it to the people because they really came out in support tonight and made for one serious enjoyable memory and experience for us. We're only a few days into this and I'm already a day behind. We're super busy and tired but I know how many people are interested in our Utah Boys, and enjoy monitoring the progress of the ISDE for the USA Team in general so I'll do my best. Today was the last day of preparation. 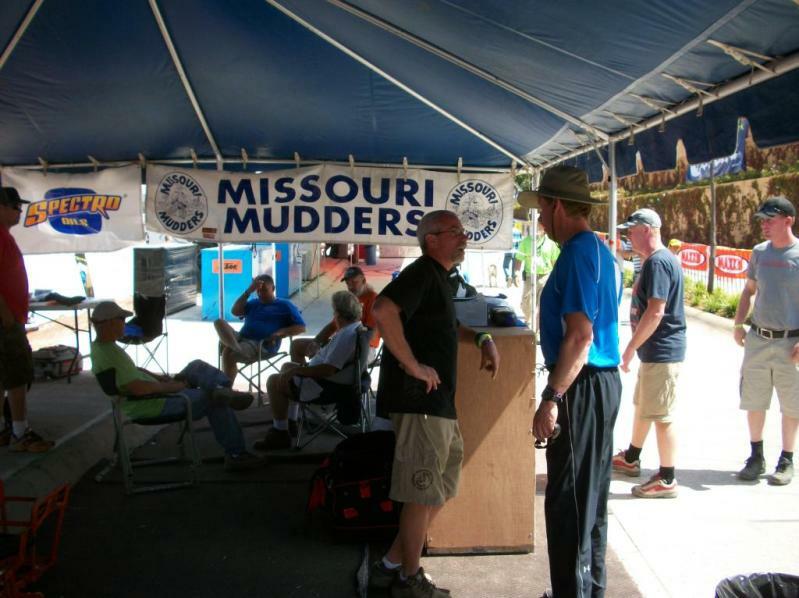 The mood seemed to be just a bit more serious and everybody is just ready to get down to racing. We spent the day doing more prep in the pits, walking one more special test, practicing more tire changes, and then a team meeting. We started with tire change practice in the morning with instruction again from Jake. He has a distinct style different from the Americans (because I'm writing this a day light, my eyes were really opened to this and I'll comment more on that later). We then decided to go find the one test we hadn't been to. It's funny because all the special tests have acquired a special name for each of them. This one has been dubbed "The Prison Test" because you have to drive right by a VERY sketchy looking Mexican prison, then up a real gnarly road through a little mexican village to find this test on the side of the hill. The terrain here was really hard pack grass field built on the side of a hill. It was a cool view.